Hey everyone and welcome to Drones for Newsgathering! We are starting with introductions. Mark has been actively involved in recreational RC aircraft builds, maintenance, and flight for the past three years. He started flitelab.com, an online store and resource centre for multicopter aircraft in Canada, and deals on a regular basis with the sourcing and testing of components for both hobby and commercial use, in addition to consulting with customers on related topics and equipment and in custom aircraft builds. He was part of the Transportation Safety Board team for the Swissair 111 accident investigation for three years, managing the imagery and document management aspects. He is also a member of MAAC (Model Aeronautics Association of Canada), and holds a Bachelors of Computer Science with option in Industrial Engineering from the Technical University of Nova Scotia. 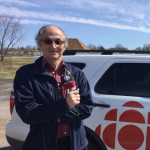 Pat has worked for CBC Radio in Charlottetown for 25 years. He has held positions ranging from producer of the CBC morning radio show to producer of the regional show, Maritime Magazine. He is currently helping CBC Charlottetown with its digital strategy. Pat has won more than a half-dozen journalism awards, including an RTDNA National award for best radio documentary in the country, and was co-winner of an International Gabriel Award. He owns a sideline video business and has recently purchased a drone. He hopes to eventually use it to help with daily news gathering. Pat uses drones for recreational use -- and wants to bring them into the newsroom. 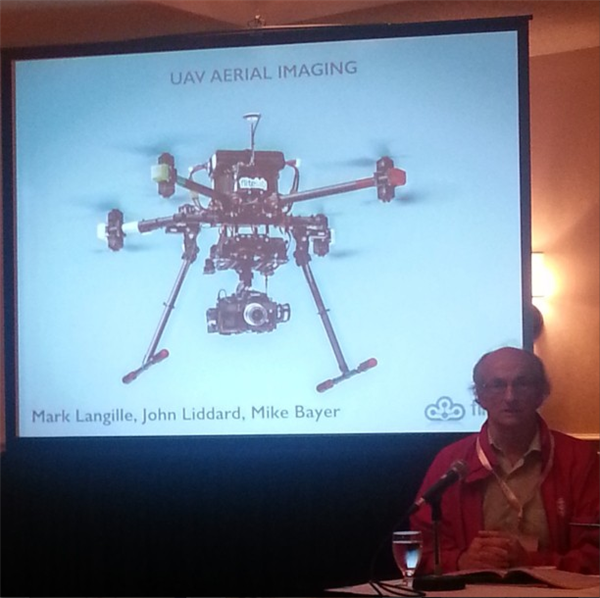 If you're using drones for commercial use, you fall under Transport Canada regulations according to Langille. If it's not 100 percent for fun, it's a commercial venture according to Transport Canada. Regulations include distance you have to maintain from airports, etc. 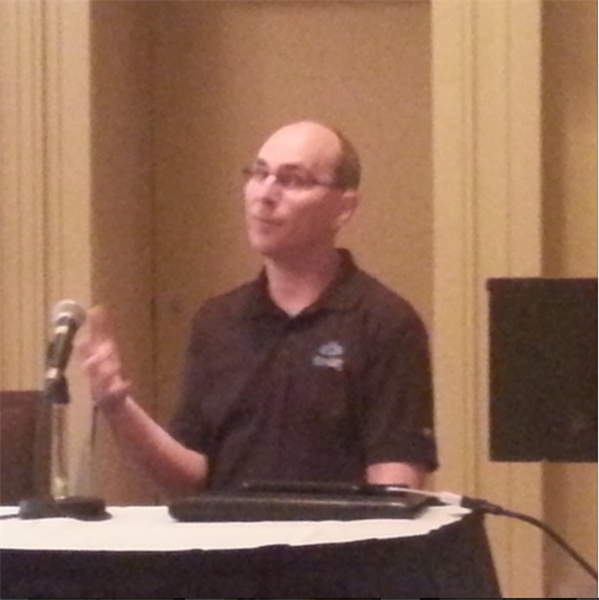 Pat Martel on using drones for newsgathering. Recreation is becoming an issue, however, and there are a set of rules being considered by Transport Canada that any drone with a camera falls under regulations. The US is far behind in regulations -- all commercial operation of a drone was illegal a couple years ago. Though, if you were a big player, like Discovery Channel, they left you alone says Langille. Transport Canada has made it easier for news orgs to get a flight certificate that is open -- flight certifications have to list what drone you have, what you're using it for, etc. Before, you had to get a certification for each flight -- but now if you have proven yourself as a safe operator, you can get year-long certs. Langille has been in IT all his life, and drone technology is the fastest moving technology he has ever seen. The tech is constantly changing, so there are short lifespans -- don't expect your drone to be up to date for long. 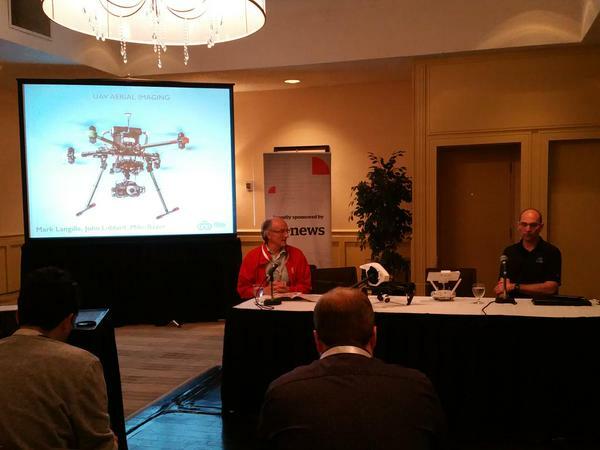 Discussing non-recreational drone usage w/ Transport Canada regulations with Mark Langille + Pat Martel re: commercial vs rec #CAJ15drones. If you apply for a certification, they give preference to pilots, although you don't have to be one to fly. The journalism properties of drones are a great opportunity -- constant mentions of arial shots of a fire in Charlotte town, for example. You need the movement of video, static shots from drones are cool but can get boring quick. 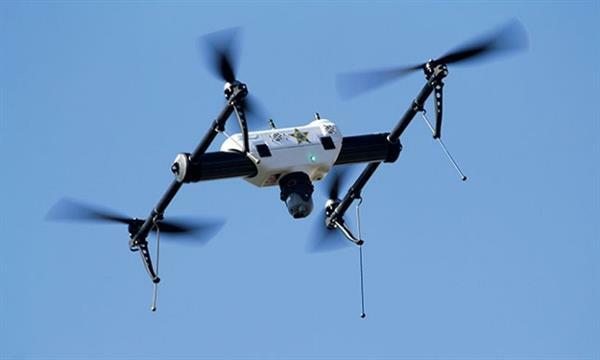 CNNMoneyCNN and the George Institute of Technology will share their findings with the Federal Aviation Authority, which is developing new regulations for drones. Another example -- a company in Dartmouth does safety training. A shot from a drone starts on the ground, moves up and shows people repelling down the wall. The drone is a tool to tell stories -- you don't need rigging, you don't need a lift, you don't need a helicopter. It's cheap and unintrusive. Irving uses it for PR b-roll footage to send out to media of a giant warehouse -- the video from the drone is 50 feet high. Now showing footage from the Bedford Flooding -- incredible close shots of flowing water from above. You see the damage and the whole scene. It's still just a tool, reiterates Martel. You still need to do journalism, talk to people, get a real story. Transport Canada regulates what kind of shots you can get though. A shot over water is fine, no danger there. But you can't shoot a drone video over a crowd of people. You have to maintain a distance, and get a more angled shot of a crowd. Recreational users have been to known to fly over a crowd -- a danger to everyone. Llanelli says that he has never seen a good news story about the rules and regulations on drones. He says journalists get often get it wrong. The media often plays illegal or unsafe drone footage sourced from recreational users you put video up on YouTube. It propagates unsafe usage. In the States, you can't fly now in National Parks or around the Golden Gate Bridge due to unsafe use. Like any evolving technology, people see drones like invasions of privacy. Most drones have wide angle lenses, with little or no zoom -- if you're 50 feet from someone you really can't tell who they are. People who see Langille flying drones often ask him if he's with the police, spying on them. Langille compares drones to cameras on phones -- when the technology first came out, everyone was worried about cameras in the locker room, but now you don't hear anything about that. 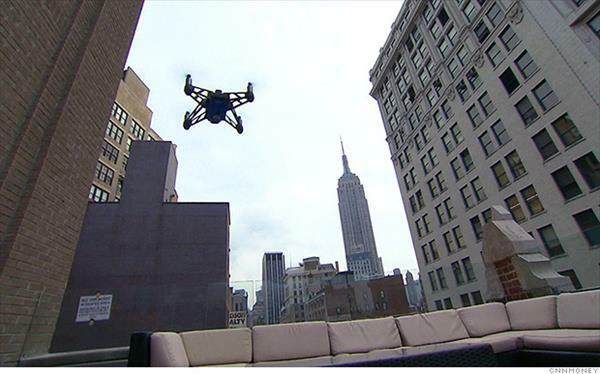 New York Times article on ten news organizations looking to test the use of drones. “I don’t think I’ve ever seen a story recorded following the rules,” says Mark Langille, referring to media outlets using drone footage. Drones have a limit of 400 feet. Traditional aircraft have to be above 500 feet.